There are times when your internet connection is fine but you’re still not able to open any website. One of the possible causes could be the issues with your ISP’s DNS server. Configuring a custom DNS server on your make contribute to make your internet faster and load websites quickly. 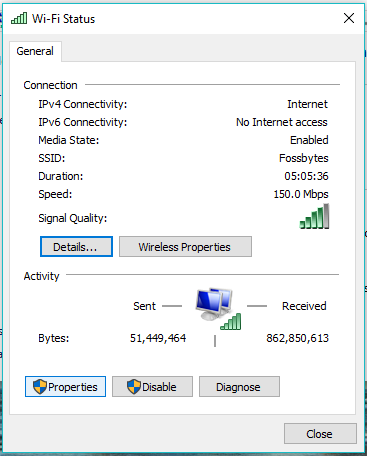 There are many ways to get a faster internet speed in Microsoft Windows. Today, I am going to show you a simple DNS hack that can speed up your web browsing considerably. Before that, I need to remind you an obvious thing that happens with most of us when we are using a slow internet connection. The only thing we blame is our Internet Service Provider (ISP) for slow internet connection, but this isn’t the only case all the time. Sometimes, the problem is related to the default DNS (Domain Name System) used by the ISP. So, let me explain you something about DNS before telling you the method to get a faster internet speed. DNS – Domain Name System – is a naming system that is used to convert the domain names into IP addresses. The domain names are usually alphanumeric for us to remember quickly, but in actuality, the Internet works on IP addresses. The DNS server, for a domain name, returns its corresponding IP address when requested by your computer (client). The DNS has a network of its own i.e. one DNS server can ask other DNS servers about translating a particular domain name to its corresponding IP address till it gets the correct result. Computers and other devices make use of IP address to route the traffic, and it is very much similar to dialing a phone number. DNS acts as an intelligent operator that helps us bypass the infinite address book of IP addresses. Your DNS manages this enormous task. You can read more about DNS and how it works in our detailed post. How an Alternative DNS Service Will Speed Up Your Browsing? As I mentioned earlier, your tortoise-like internet speed isn’t always your Internet Service Provider’s fault. Instead, it may be because of an inefficient DNS server. So why not use an alternative DNS service? As the present web pages continue to become more and more complicated by inculcating innumerable things, clients go for multiple DNS lookups for rendering one single web page. With the internet blowing up size by the clock, the existing DNS infrastructure is under more load each day. Now, I’ll tell you to use free public DNS services that will ask your computer to use custom DNS servers instead of the default DNS server from your ISP. It will help you to get a faster internet speed. 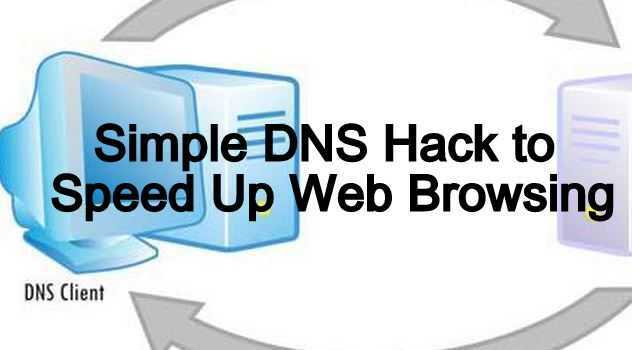 How To Speed Up Web Browsing Using DNS Hack? To get faster internet speed, I’d like to tell you about OpenDNS. You can also use Google DNS for speeding up your internet. OpenDNS is one of the most popular free DNS services that was started to provide an alternative method to the users who weren’t satisfied with their existing DNS servers. 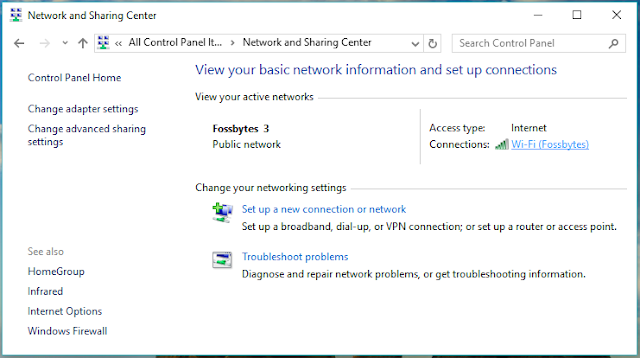 How to configure OpenDNS in Microsoft Windows? 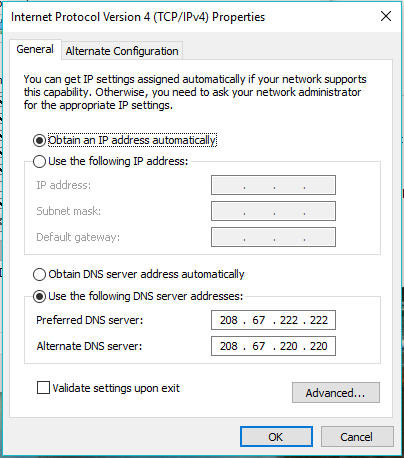 By following the steps mentioned below, you can set OpenDNS as the preferred DNS server in Microsoft Windows. This will allows various applications to perform nslookup using OpenDNS rather than your ISP’s default DNS servers. 1. To get a faster internet speed using OpenDNS, open Control Panel. 2. Go to Network and Sharing Center. 4. On the next window that pops, click Properties. 5. 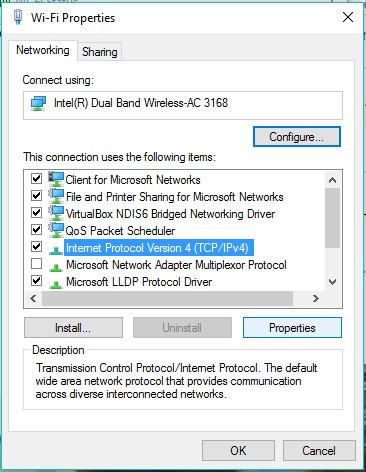 Click the Internet Protocol Version 4 (TCP/IPv4) and click on Properties. If you want, you can interchange these addresses. Click OK to save and continue. Since the adoption of IPv6 addresses is on the rise, it’s time you should configure iPv6 DNS servers as well. Highlight the Internet Protocol Version 6 (TCP/IPv6) and click Properties. How to configure Google Public DNS in Microsoft Windows? Replace those addresses with the IP addresses of the Google DNS servers in step 6. In a nutshell, OpenDNS, Google DNS are reduce the time taken to resolve the domain name on the web and make the internet faster in the process. Obviously, it won’t increase the maximum available bandwidth for your connection. Moreover, they are more reliable than the default ones used by your ISP. Do I need to mention one of them is maintained by Google? These custom DNS servers face downtime, due to power outages or some other hardware issues, less often. Both Google DNS and OpenDNS work just fine but people prefer Google DNS these days. You can choose to go for any of these and see if your internet speeds up.